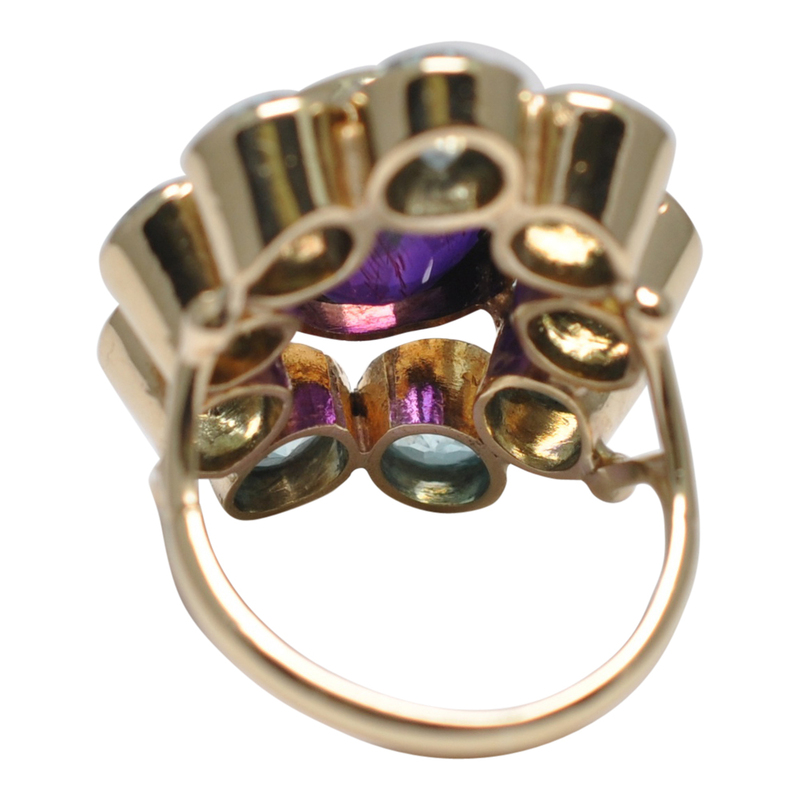 Dramatic and bold! 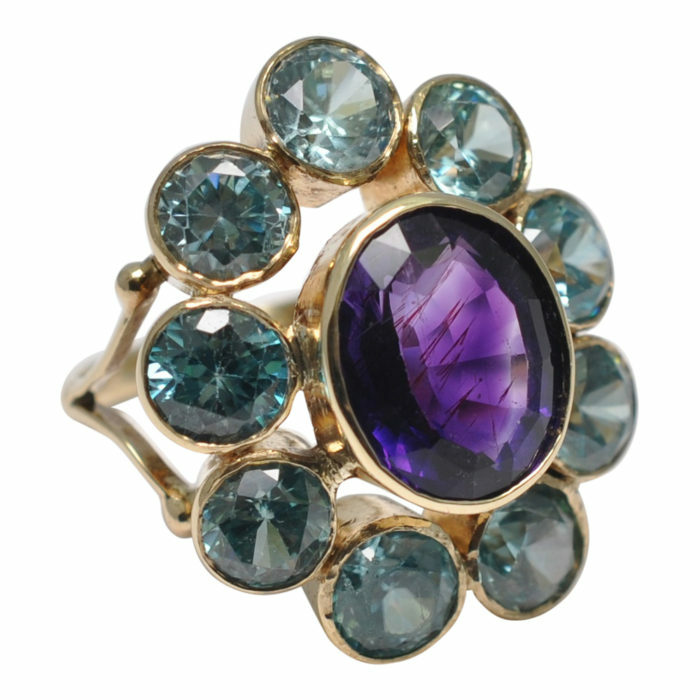 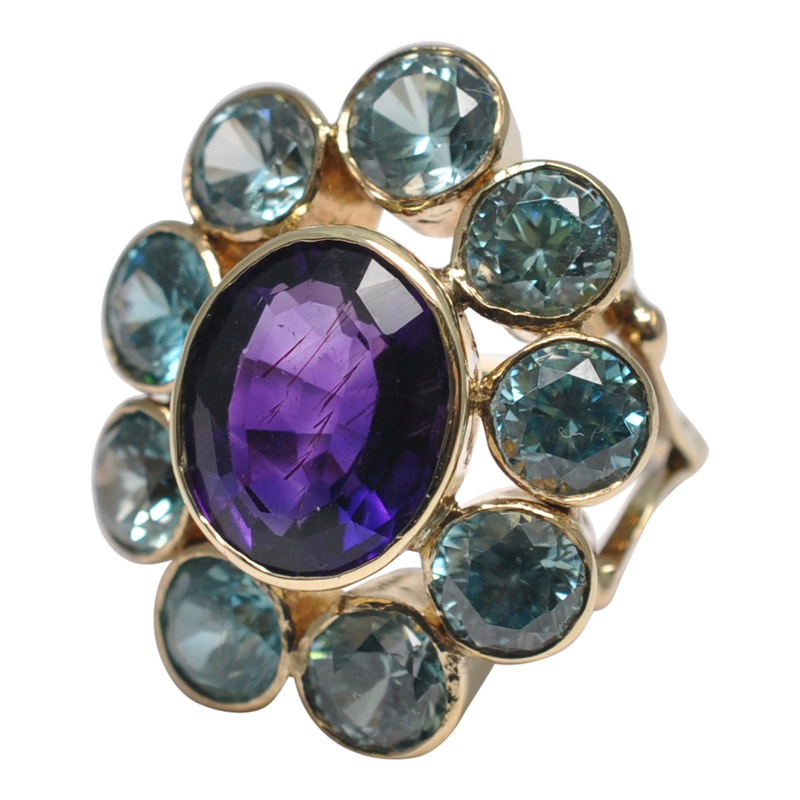 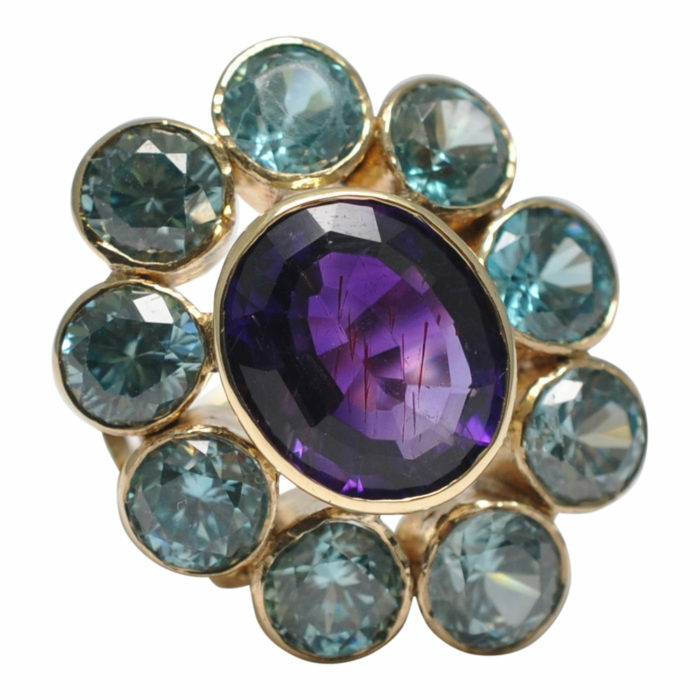 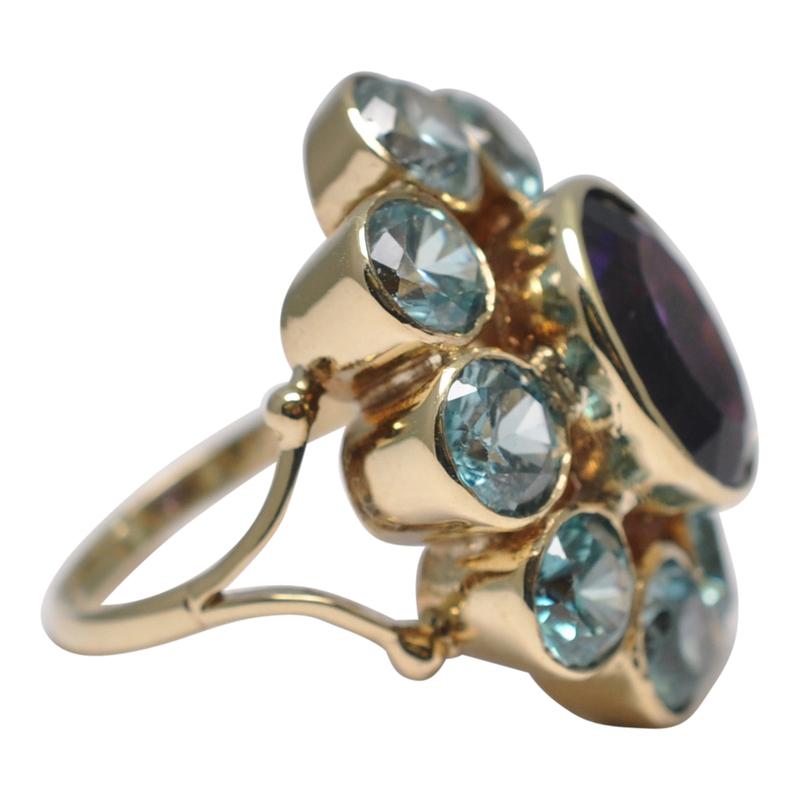 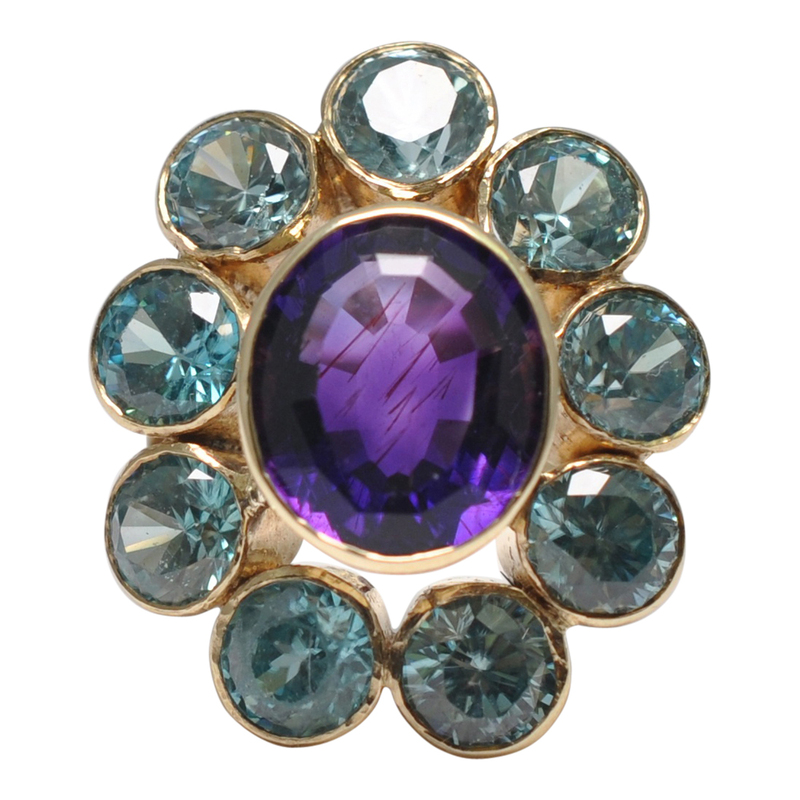 Large oval cocktail ring set with a central oval, deep purple amethyst surrounded by sparkling blue zircons. 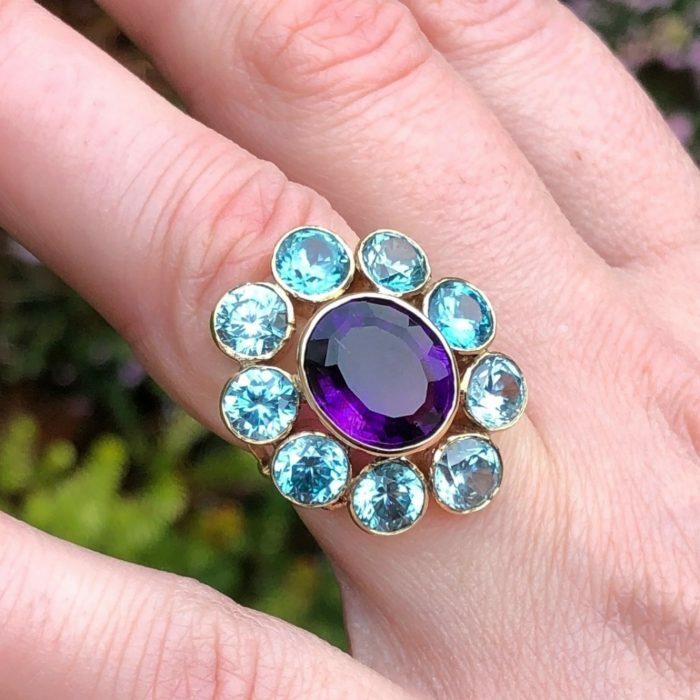 The combination of the colours in this ring makes it positively sizzle and shimmer as the blue zircons capture the light and form a beautiful halo around the amethyst. This is a handmade crafted ring in 14ct yellow gold (tested) dating from the 1950s, probably American. 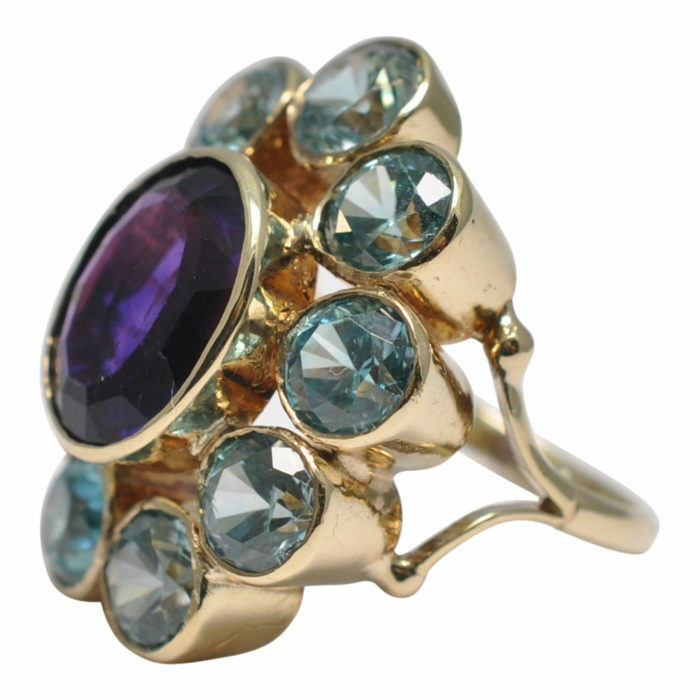 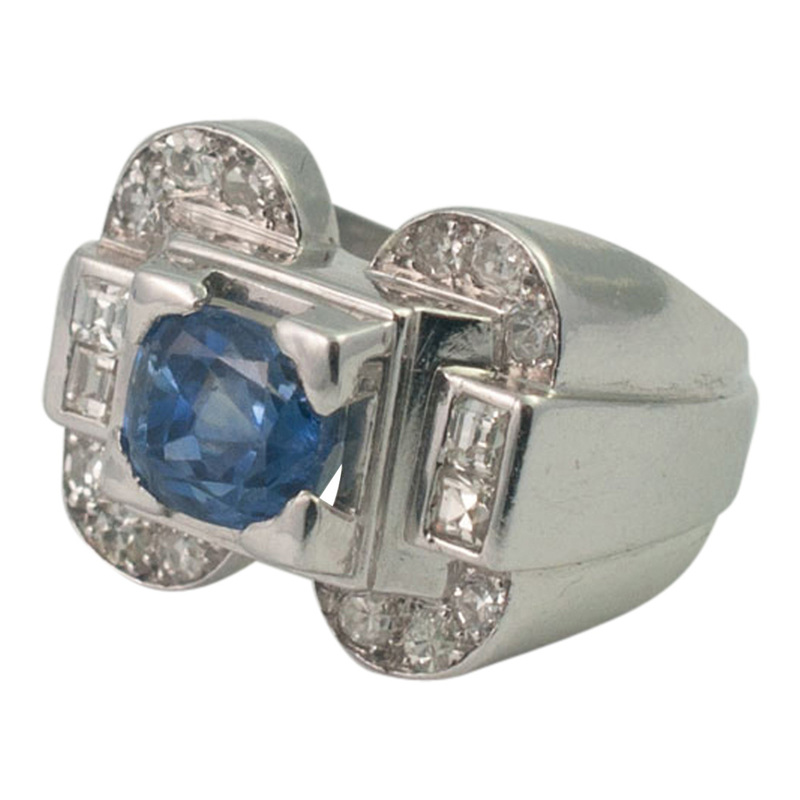 It sits low on the finger and is comfortable to wear with all the stones bezel set. 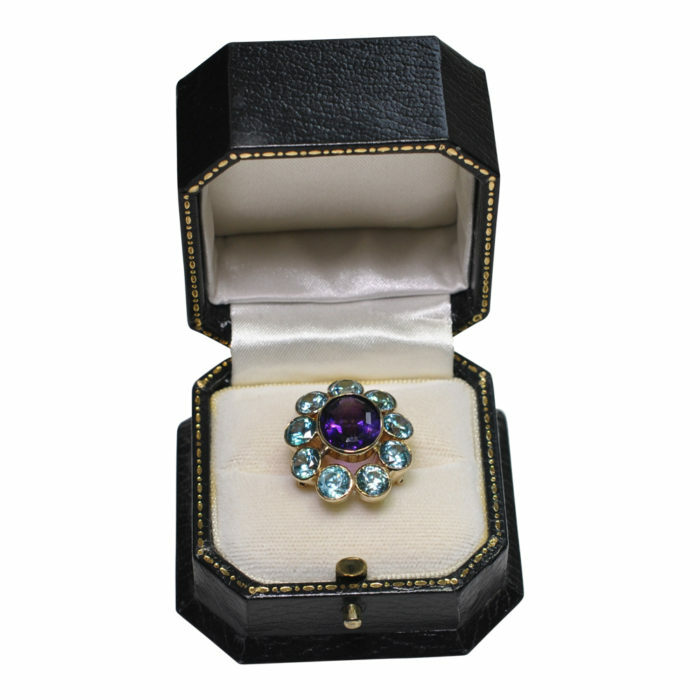 Measurements 2.5cms long x 2cms wide, (1″ x 3/4″). Weight 8.1gms. 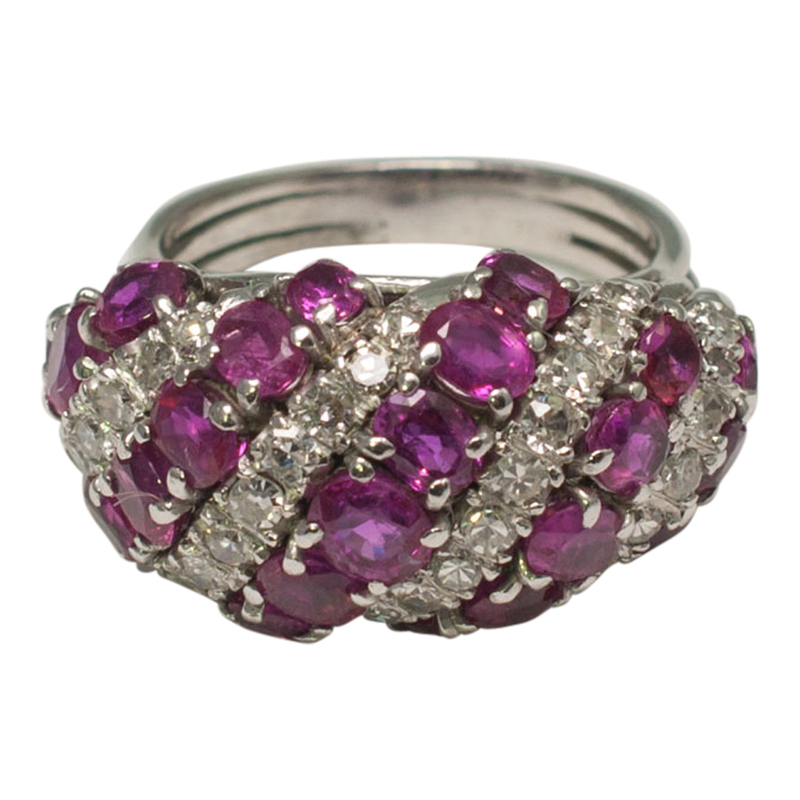 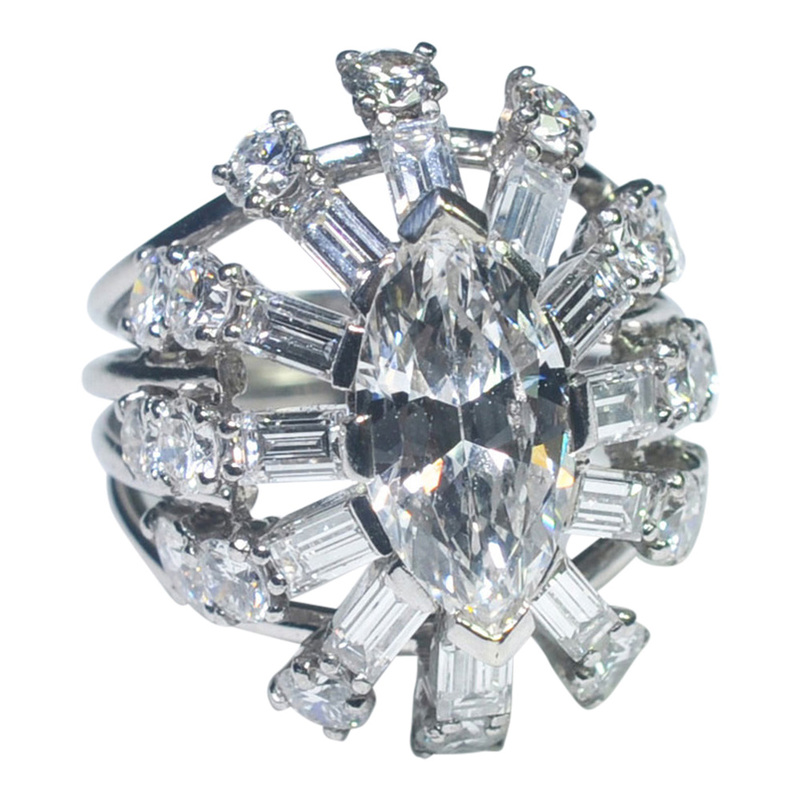 The ring is in excellent vintage condition. 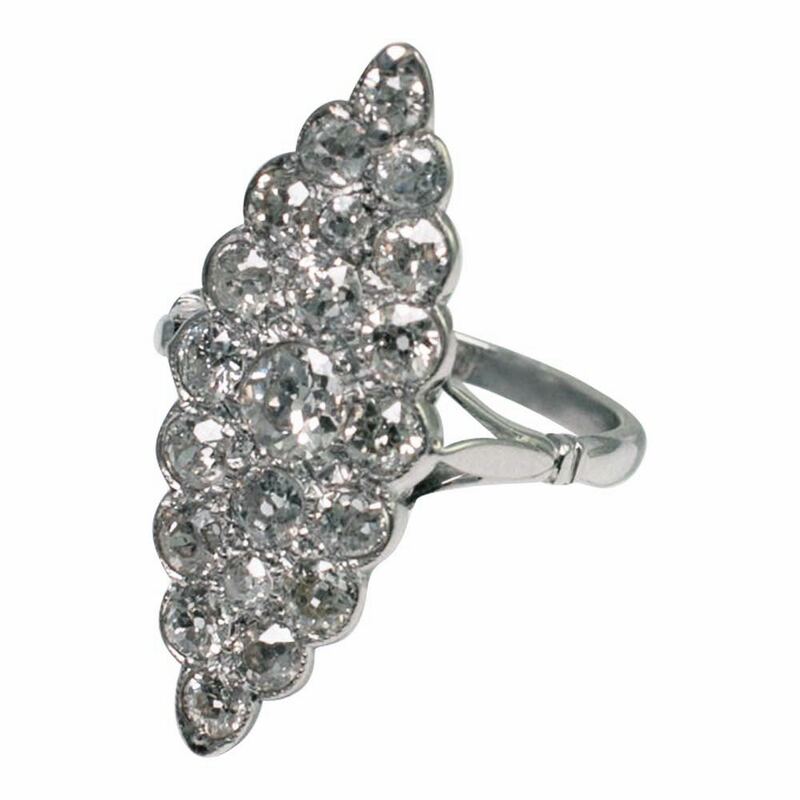 Finger size K (UK/AU), 5.5 (US), 51 (French) which we can re-size for you if required.